Swan, small. 3.2 x 5.5 x 3.7 cm. Designer: Stefanie Nederegger. Se video lenger ned under beskrivelse. 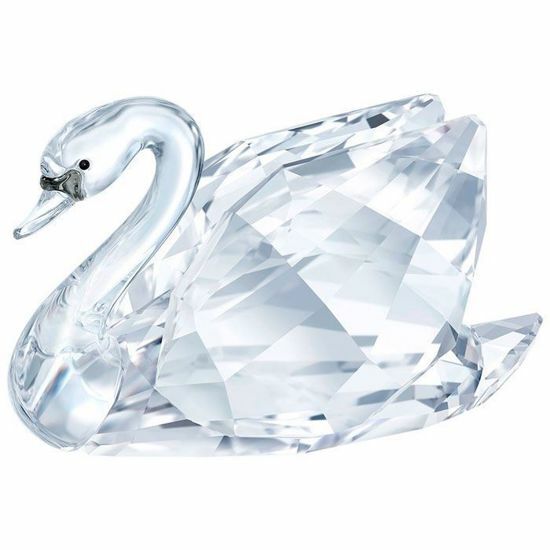 A symbol of purity, dreams, and transformation, the swan has always been a favorite among Swarovski collectors. We are pleased to present a fresh new interpretation of this graceful bird. The Swan, Small features subtle black crystal accents and 253 facets, creating a true-to-nature look with great attention to detail and brilliant sparkle. Full of emotion and elegance, it is a timeless addition to any collection and a much-appreciated gift. Decoration object. Not a toy. Not suitable for children under 15.